The talented composer of the celebrated opera, Norma, was born Vincenzo Salvatore Carmelo Francesco Bellini on this day in 1801 in Catania in Sicily. Bellini became known for his long, flowing, melodic lines, which earned him the nickname, ‘The Swan of Catania’. He enjoyed great success during the bel canto era of Italian opera in the early part of the 19th century and many of his operas are still regularly performed today. Born into a musical family, Bellini showed early talent. It was claimed he could sing an aria at 18 months and could play the piano by the age of five. Although some writers have said these are exaggerations, Bellini is known to have already begun composing music by his teens. He was given financial support by the city of Catania to study music at a college in Naples and while he was there he was profoundly influenced by meeting the composer Gaetano Donizetti, having heard his opera, La Zingara, performed at Teatro di San Carlo. Bellini then wrote his first opera, Adelson e Salvini, which his fellow students performed to great acclaim. In 1825, Bellini began work on what was to be his first professionally-produced opera, Bianca e Gernando. It was premiered at Teatro di San Carlo on 30 May, 1826 and was a big success. 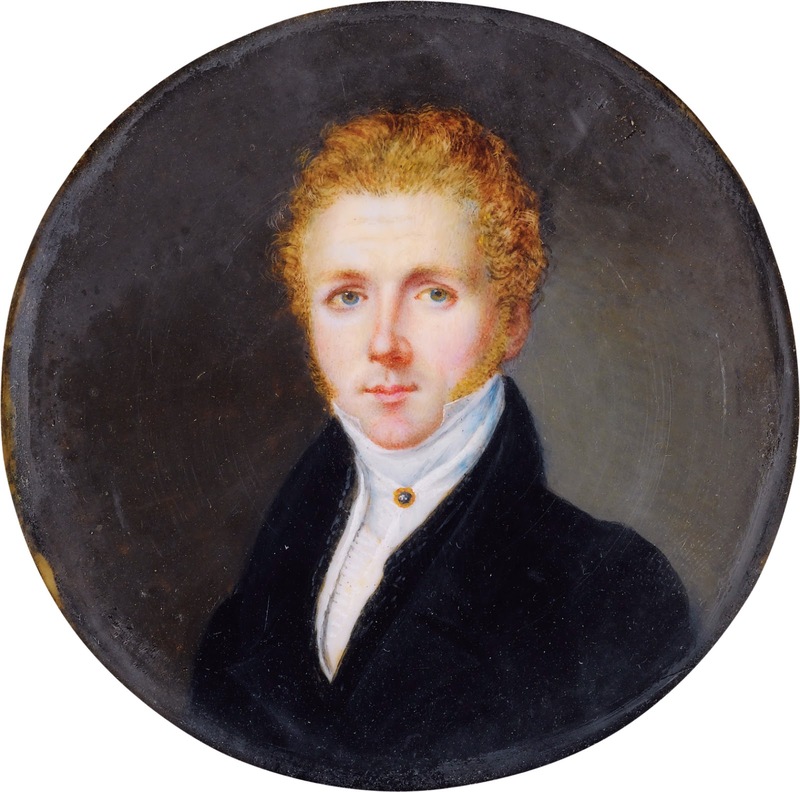 Donizetti attended the performance and wrote about it enthusiastically to his former tutor in Bergamo. 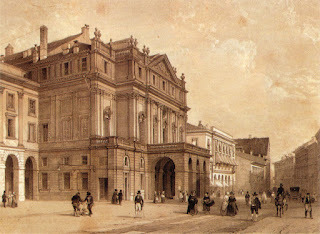 After Bellini was commissioned to compose an opera by Teatro alla Scala in Milan he moved to live in the city in 1827. During the six years he spent in Milan he wrote four masterpieces, Il pirata, I Capuletti e I Montecchi, La sonnambula and Norma. The tenor, Giovanni Battista Rubini, attracted rave reviews for his performance in Il pirata, having been urged by Bellini to act the part as well as sing it. Norma was given 39 performances in its first season at La Scala and was equally popular when it was later performed in Bergamo. 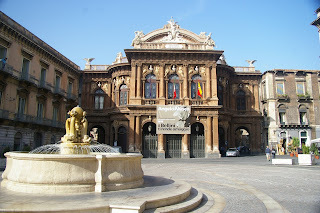 When Bellini returned to Sicily in 1832, his opera, Il pirata, was a big success at the Teatro della Munzione in Messina and he was given a civic welcome when he arrived in Catania. Excerpts from his operas were performed in a concert at the Teatro Massimo Bellini, which had been named by the city in his honour. Bellini’s visit to London in 1833 was a triumph, with La sonnambula and Norma attracting excellent reviews, and he was fêted by the fashionable set when he moved on to Paris. However, when he began composing I puritani he moved out of Paris to live in nearby Puteaux in order to concentrate fully on the opera. The opera was premiered at the Theatre-Italien in Paris on 24 January 1835 and was given an enthusiastic reception. In the aftermath of the opera’s success, Bellini was named by King Louis-Philippe as Chevalier of the Legion d’honneur and he was awarded the cross of the Order of Francesco I by King Ferdinand II in Naples. But Bellini was being increasingly troubled by gastric problems and became seriously ill later in the year. The composer died on 23 September 1835 at his home in Puteaux. He was just 33 years old. 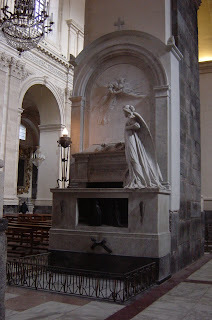 Bellini was buried in a French cemetery as a short-term arrangement and his remains were taken to Catania and reburied in the Cathedral there in 1876. Catania, where Bellini was born, is an ancient city on Sicily’s east coast, situated at the foot of Mount Etna, an active volcano. There is a monument to Bellini in the Cathedral in Piazza del Duomo and a museum dedicated to his life, the Bellini Museum, which was opened in 1930 in Palazzo Gravina-Cruyllas, the house where he was born. Teatro San Carlo in Naples, where Bellini’s first professionally-produced opera was staged, is thought to be the oldest opera house in the world. It was officially opened in 1737, way ahead of La Scala in Milan and La Fenice in Venice. The theatre is in Via San Carlo close to Piazza Plebiscito, the main square in Naples. It was designed by Giovanni Antonio Medrano for the Bourbon King of Naples, Charles I. In the magnificent auditorium the royal box is surmounted by the crown of the Kingdom of the Two Sicilies.